Ukulele beginners tips - How much should I spend on a ukulele? 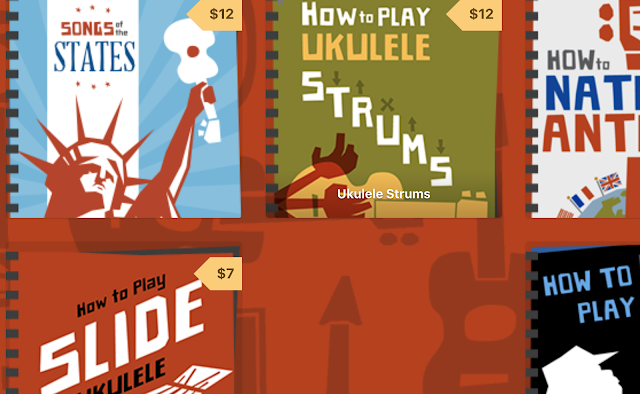 Okay, you are saying, you have convinced me, I'm going to give ukulele a try, but how much do I need to spend? This is a very common question and really, the answer depends on your personal circumstances. Even so, unless you are Mr Moneybags, there is little point in spending many hundreds on a first ukulele only to find you don't enjoy it. At the other end of the scale, whilst it obviously seems tempting to spend as absolutely little as possible, as you are just testing the ukulele water, you should also be careful. As with guitars, if you purchase something so cheap that it is badly made, you will find the instrument working against you from the start. Learning a stringed instrument for the very first time does take some practice and time. Get a super cheap uke that is impossible to tune or has unplayably high action and you are just adding to the difficulty. In the worst case this could put you off forever, which would be a shame as you don't need to spend a lot to get a playable instrument. Do a search on eBay and you will find a range of ukes in bright colours for anything from £10 to £20. My advice is don't. I've sampled ukes at this low end from the likes of Mahalo and Ashton and the plethora of new Chinese names and they are pretty shonky. I'm not just talking about finish, they can be badly (even fatally badly) put together making good setup nigh on impossible. As cheap as I would go would be about £35-£40 for the makala ukuleles, particularly the dolphin that I have reviewed on this site. The dolphin is a remarkable uke, which when fitted with Aquila strings is remarkably loud, accurate and good sounding. Avoid trying to shop around at this price to save a couple of quid from a random eBay seller- dolphins need a bit of set up to work well so buy from a store who will set up for you. Highly Strung in Wantage will do this and they are also on the web. In the US places like Mims ukes will give you a setup. Ideally avoid Amazon!! Moving up into the £50 to £80 range and you are still looking at makala as a great choice. Entry level Kalas appear and also great brands like Baton Rouge. 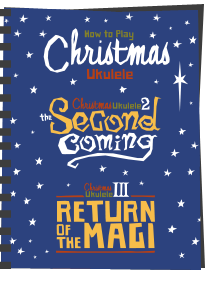 As you rise above the £80 mark you start to find better ukes from Kala and Ohana appear in your price point. Very good ukes, made in the far east. Up to this point we are really only talking about laminate ukes only. These are not as sweet sounding as solid wood ukes, but for a beginner they are just fine. In fact, I'd rather a good laminate than a bad solid wood instrument. About the cheapest quality solid wood ukes are probably the entry models from Bruko. These are (amazingly) handmade in Germany and start at around £100. If you intend to start ukulele above the £100 mark, things get complicated as the range becomes huge. Sadly there are still plenty of bad eggs so how do you know where to go? Well if you are paying this much, I would definitely try to play before you buy to check intonation etc. If that's not possible, you need to try to play it safe. About as safe as you can get is to buy a Flea uke. They are, due to their construction, pretty much guaranteed to be set up well and they sound great leaving you no worries and free to start learning. Ohanas and Kalas in this range are good ukes too, but I don't think they are likely to be as consistent as Fleas. Fleas can be found for around £130 ish. I understand that many dont like the look of Fleas though. Beyond that you are on your own! Choose carefully, avoid bargain basement and read the ukulele forums thoroughly. They are full of friendly types happy to help. Very useful review! Thank you. I am thinking in buying a Lanikai LU-11, for a beginner like me. I play sometimes guitar (have one from my cousin), but not on a serious level and started to look for an Ukulele. What is your opinion on this ukulele, please? As I recall Leonard - the LU-11 is the same as the LU-21, but without the binding on the finish - still a great beginner uke though. can grab one and test it "live". I'll be honest with you - whilst I like the Lani ukes - they may well need some setting up - so either be happy with doing yourself or buy from a store that will do so for you. My Lani needed work at the bridge and nut, but have been working on guitars for years so was happy to have a go. Sadly, buying a uke of this price means the chance of set up work being needed is hugely increased. 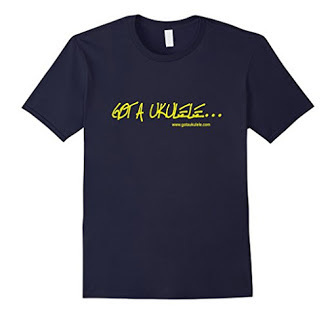 Doesnt make them a bad uke - just that they need setup to be a good uke! Thanks, for the useful ideas! etc. ), that will be great. My lani needed some sanding on the bridge and a slight drop on a couple of the nut slots. Nothing too taxing, and if buying from a proper shop it should be something to expect. The geometry of the build on these though is, as far as I have read, spot on. I bought me an ukulele (a cheap one) today! Haha. Nice little instrument (and much more less "stressing" than a guitar - big body, many strings... :))) ). I am still inspecting it, but in my (first-time-user-of-such-an-instrument) view I do not see any issues with it. I like it. Although, I must change it's strings to the famous Aquila strings that everybody writes/talks about, because the actual strings do not only seem but also sound pretty terrible. But, before that, I will test it with the original strings, for a while, so I will hear the differences, between the 2 type of strings, for myself. Farewell, for now, and success! 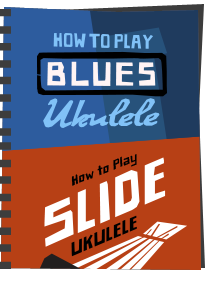 Congratulations and welcome to Ukulele club! Regarding your comment on the strings - you are very wise - Aquilas are great strings, but the most important point you make is that you are testing the originals. That is so important. I like Aquilas, but then I dont like them on every uke. 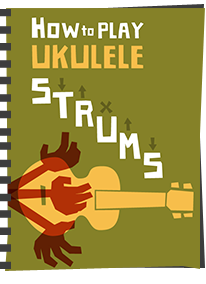 Its hard to recommend strings because it depends on the uke and it depends on your own ears. You need to learn to listen and go with what you are happy with. You are already doing so - and that is a great way to go. By the way, my current range of strings include Worths, Aquilas, and Martin Flourcarbons. My ukes all differ! Thank you very much for your kind and ecouraging words! Well, I think it is (sometimes, not in all cases) helpful to start from the "0" ground, upwards. Sure, there were many ukulele models that "striked" my eyes with their nice construction and quality image (as a biblical saying: "Man sees what appears ("strikes") to the eyes"), but playing a cheap (although, not TOO cheap, because, as you also surely know it, it might discourage you) ukulele with cheap strings at first, I think it will make you appreciate much more an expensiver/higher quality model after that, and also, as other said before me, it can make you see if you really like that type of instrument, or it is just a simple caprice. Of course, if someone really wishes to put high amounts on more expensive instruments, sure, why not go ahead for those in the first time, because it might blow you away, in some cases, and make you fall deeply in love with the music that it produces :). But, to come back to the point, I think I might start with the Martin strings when I will restring the ukulele - I read nice reviews about them -, because they are thinner than nylon, because of the flourcarbon, and I would like thinner strings on my little new guitar. Do you know if they also make them in black or brown colour? That will be great and would look real nice on the black/brown painted new little guitar. What about Daddario strings? They can be found easy and, almost, in every guitar shop in the region where I live. Are they reliable strings? Lanikai Kohala HU-212..which do you think would best suit me ?. The Makala and the Kala are the same manufacturer so will be similar. The Lanikai is their bottom end model. Spending a little more gets you the Lani LU21 which is a fine beginner instrument. 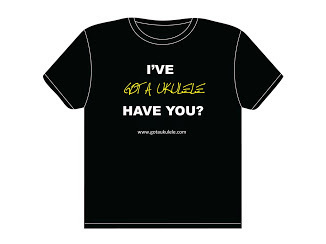 This is one of the questions I had when I started the Ukulele (about a week ago). I brought some £20 uke which wasn't great, I experimented a bit and restrung it with Aquila strings (I wont ever use any different now) the sound improved from that point. However, only the other day (baring in mind i'm still new to this) I purchased a Martin & Co. EST 1833. The BEST decision I had ever made, £300, pure mahogony, Martin & Co strings (second best to aquila) my fingers haven't been as sore. I don't see it as a waste (even if i stopped) Instead this thing will hold it's value. Does anyone have an opinion on Brunswick Ukraine, particularly the new BU1S which comes with Aquilla strings? I've paid £185 for a Kala Accoustic/electric Tenor Uke with Nylegut strings. It holds tune very well in wide temperature changes. Its black with a mother of pearl inlay around its edge. To my ears it has a lovely tone. Did I get a bargain? Would be interested in your comments. 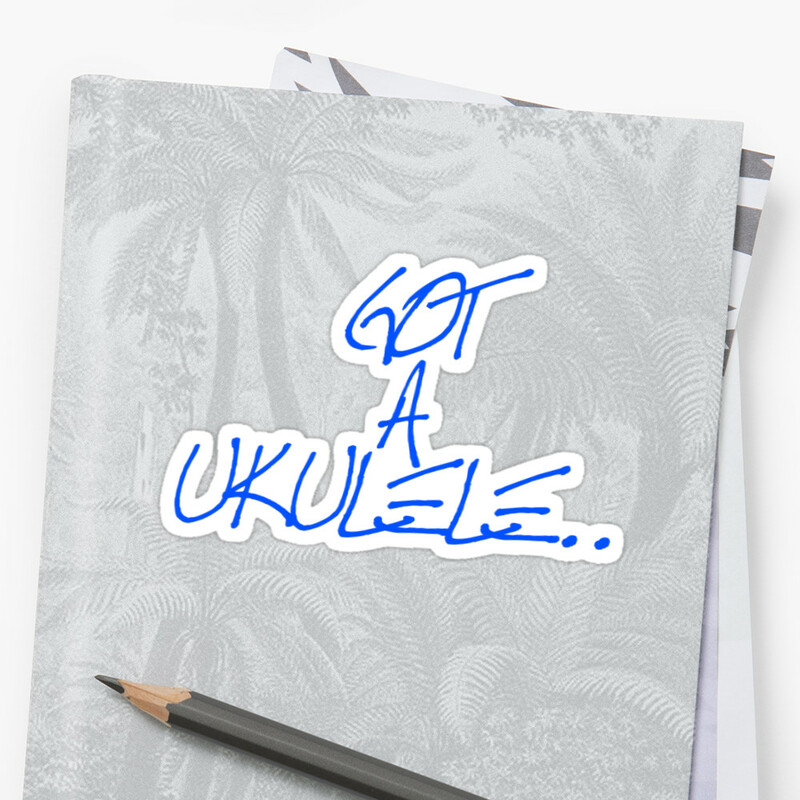 Hi there, very help to read all this as i am thinking about getting a Ukelele for around 50 quid. I saw the peavey composer Ukelele the other day and it lots really nice, but I've not really found any reviews of it.Any ideas anyone? I have read all the info provided along with all the comments but everything seems to be directed towards the Soprano Uke. I have a friend who has been working on Uke's for 25 years, repairing/rebuilding, and his advice to me was to buy a concert Uke. Is this a whole new ball-game for models, strings, tuning,etc.? Comments would be very much appreciated before I dive in. I think you have been given bad advice - there is no right and wrong scale of uke - and each have their merits. I am actually not a huge fan of the concert scale for the simple reason that I don't think it is one thing or the other. It tunes the same as a soprano and tenor, sounds a little bit more resonant but not as much as a tenor. The soprano is considered by many to be the king or original uke and is highly revered. I personally play sopranos and tenors as they differ enough to enjoy both. I probably jumped the gun a bit buying mine - I went for the Peavey Jack Daniels Uke and while I haven't got anything to compare it to, I've been pretty happy with it. There is one other reason not to start with too cheap of an instrument (and this can apply to any instrument). It's kind of the opposite of the reason not to buy too expensive of an instrument. If you buy too expensive an instrument, it can be too big of a commitment for something you are not entirely sure you will enjoy. However, if you buy too cheap of an example, it may not be a big enough commitment. That is, if you buy a little bit more expensive instrument, then you will have greater motivation to get your money's worth. As an example, I will cite the soprano recorder. It is quite possible to get a perfectly competent plastic soprano recorder for $10(US) new (and yet, amazingly, there are still cheap, junk recorders for less money, which I don't understand why anyone would buy, but that's another story). Because the barrier to entry is so low, there are a lot of people who buy them and never really learn to play them. I assume the statement "as you rise about the 680 mark" is a typo (should be 80 instead of 680).